PURE CBD 200MG EXTRA STRENGTH, 1 fl. oz. Pure CBD Extra Strength is comprised of high quality hemp strains using hydrocarbon extraction methods to ensure optimal purity and strength. CBD 200 mg Extra Strength provides 200 milligrams of gold filtered CBD emulsified in organic hemp seed oil. CBD 200 mg delivers the power of cannabidiol in the most effective manner possible; achieving maximum results without side effects. With Advanced Cellular Technology, CBD 200 mg Extra Strength Intra-oral drops are immediately absorbed, simple to take, and have a pleasant taste with a hint of natural mint. The endocannabinoid system serves to constrain the hypothalamic–pituitary–adrenal (HPA) axis activity during times of stress. CBD has been shown, via mediation of the endocannabinoid system, to promote adaptation to stress and its physiological effects. Recent research on cannabidiol shows it to be neuroprotective in those with multiple sclerosis and other neurological conditions such as Lyme disease, epilepsy, Parkinson’s disease and spinal cord injury; exerting this effect by supporting the regulation of inflammatory response in the nerves and muscles. Cannabidiol shows promise as an inflammation-modulating agent via action on cannabinoid receptors in the endocannabinoid system. Cannabinoids modulate the inflammatory response via multiple pathways, including suppression of overactive immune cells, suppression of pro-inflammatory cytokines and chemokines at inflammatory sites and enhanced T cell activity. 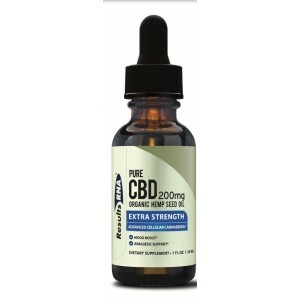 Products Related to PURE CBD 200MG EXTRA STRENGTH, 1 fl. oz. Hemp-derived cannabidiol (CBD) extract (emulsified in virgin organic hempseed oil), Organic Peppermint (leaves) (Mentha x piperita). Take two, ½ droppers of Pure CBD Extra Strength twice daily for heightened support, or ½ dropper of each formula twice daily for health maintenance. Take each formula individually by mouth. Results RNA formulas can be taken in any combination without waiting and can be taken with food or without, at any time of the day. Always remain well hydrated when taking Pure CBD Extra Strength.